I believe in a world we’re woman and men are equal. Where we don’t need feminism. Were there are no stereotypes or sexism. I believe feminist will be a term used for a society of women, black and white, straight or lgbtqi+ who helped defeat a world of misogynistic idiots who don’t care about women. 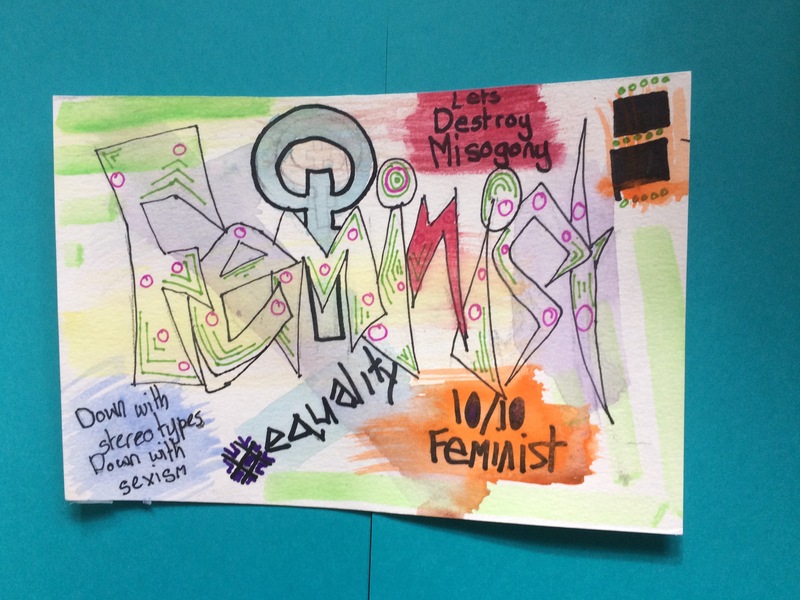 Feminism is an important term to me and to many other fantastic people. I was going to start this post by saying I don’t know what kind of feminist I am. That’s not true though. I do know. I’m an optimistic feminist who believes there’s a better future out ther for women. I believe we’re we’re all Wonder Woman in our own strange way. If we believe we can. Yes I’m an optimist people. But some times you need a little bit of optimism to push an idea.